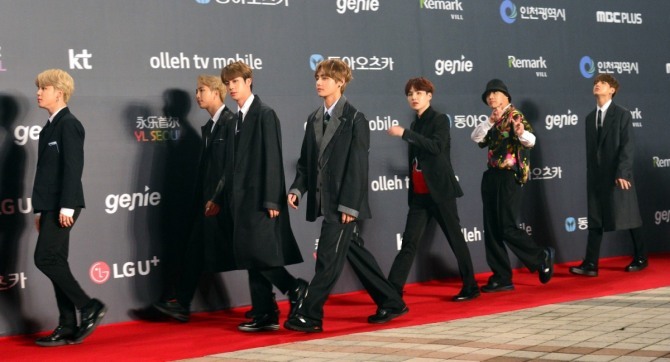 BTS hit the red carpet at the 2018 MBC Plus x Genie Music Awards, with multiple wins on the horizon. 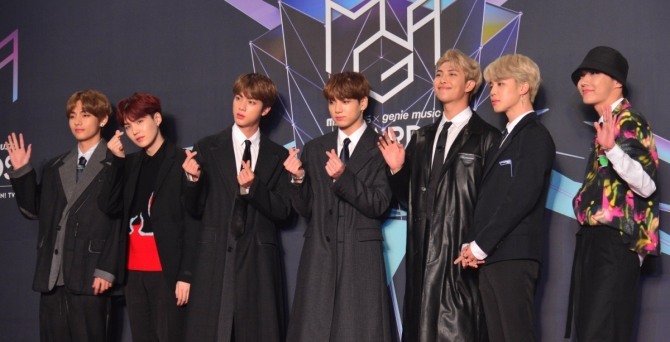 MBC Plus x Genie Music Awards or MGA is a newly launched K-pop music awards co-hosted by South Korea’s major television network MBC and music streaming platform Genie. Fans and reporters were crowding the venue in Incheon hours before the red carpet officially began at 5 p.m. on Tuesday. 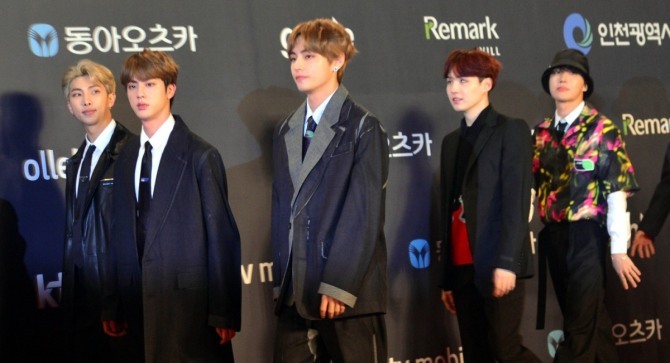 BTS is the creme de la creme of the superstars lined up for the event. The seven-member act has swept the preshow voting, which showed a turnout of 30,652,692, conducted for a month from Oct. 1 to Oct. 31. The winner of each category is decided by a popular vote, expert analysis and music streaming data, among other factors. 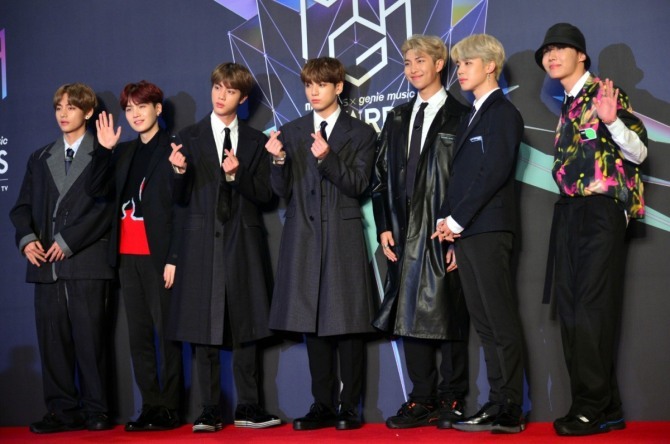 The boy band topped seven categories, including boy group of the year, best-selling artist, and artist of the year -- the last of which is the top honor of the night. 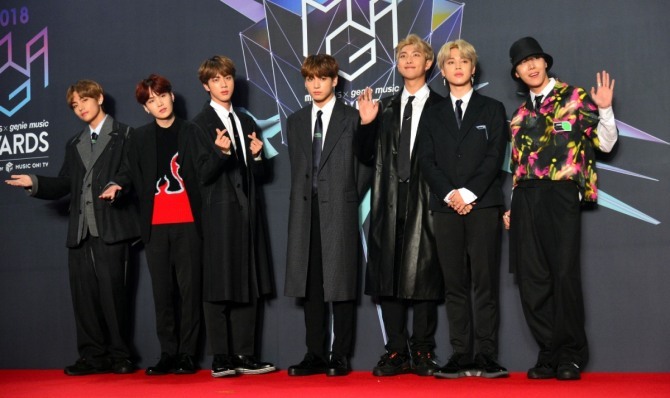 The Billboard-topping single “Idol” won the group best dance of the year for male groups, “Fake Love” the best rap/hip-hop and “Love Yourself: Answer” the digital album. 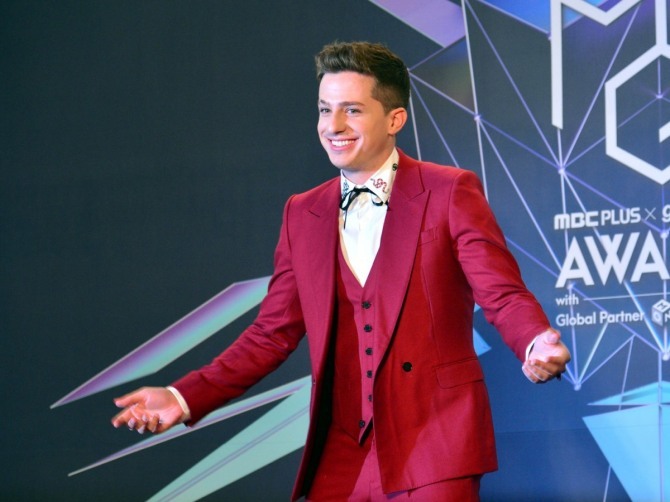 A joint performance by BTS and US singer-songwriter Charlie Puth will be the headline event at MGA, one of the first year-end music awards of 2018.